Zero presents this night suit for your little one. The set includes a full sleeves round neck tee & full length pyjama. The tee features a cute print and the pajama has a soft elasticated waist which ensures maximum comfort. 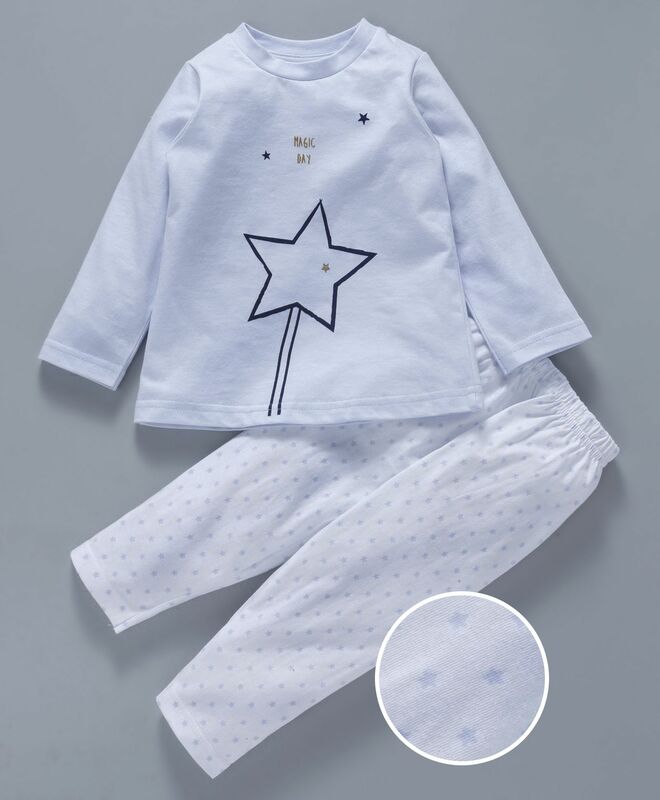 It is made of soft and warm fabric which keeps your kid warm and snug all night. Quality of the product is superb. Best cloth quality u could ever find in any website I think. Although the material is soft and nice, color of actual dress is too light than it appears here on website.